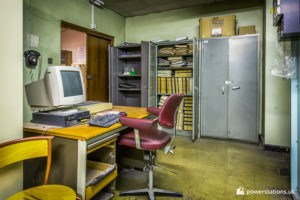 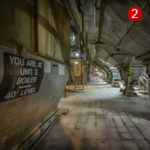 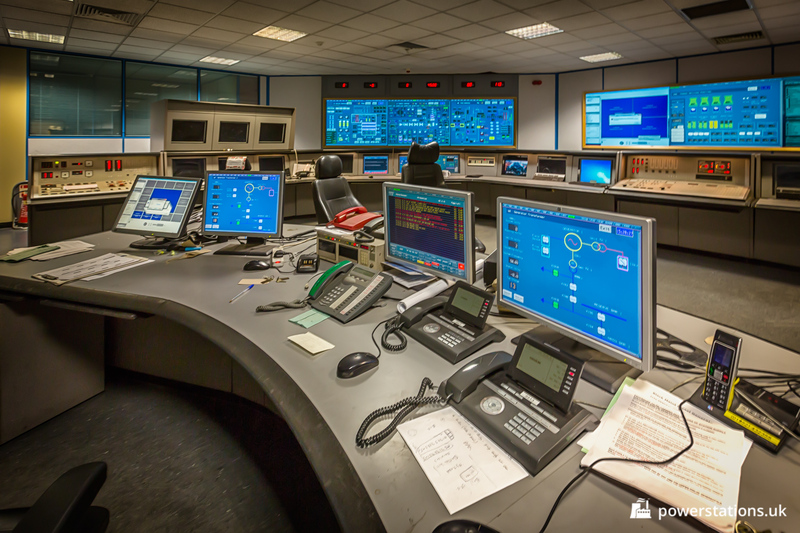 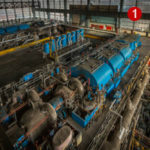 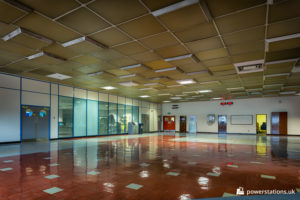 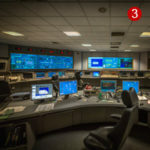 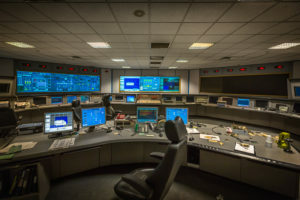 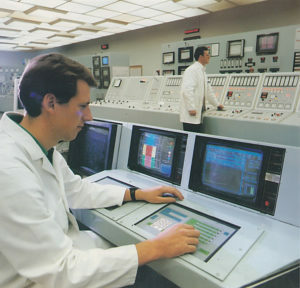 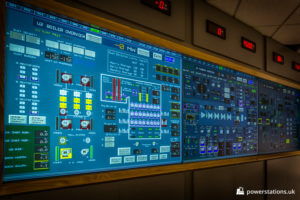 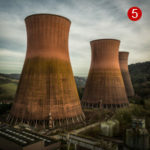 The control room at Ironbridge incorporated a fully computerised system – the Advanced Plant Management System (APMS). 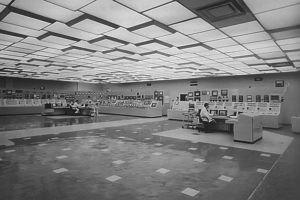 This consisted of three banks of large rear projection screens around two operator workstations and an engineering workstation. 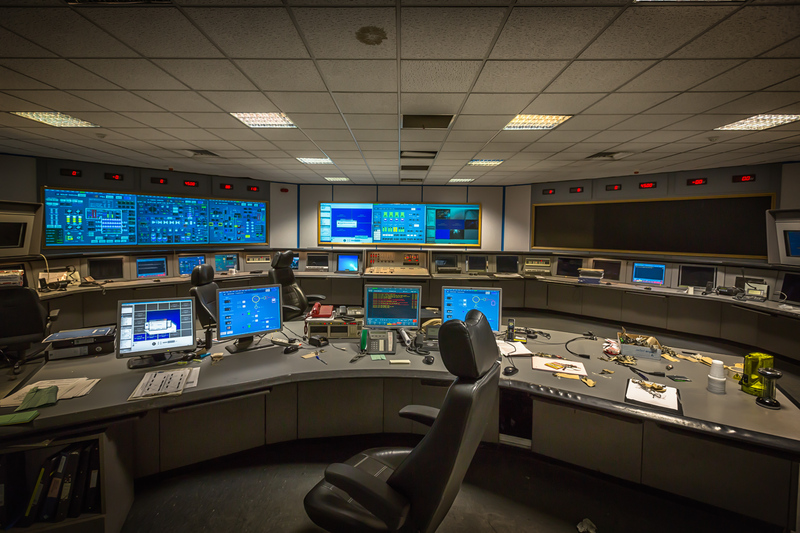 APMS completely replaced the original control desks, which were arranged over a much larger space. 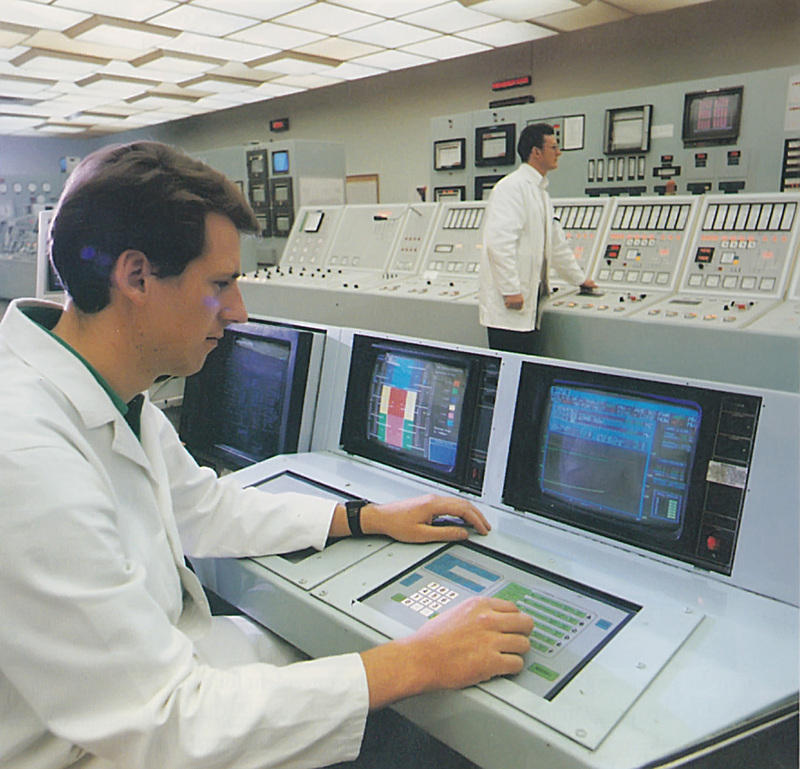 The upgrade was completed in 1997. 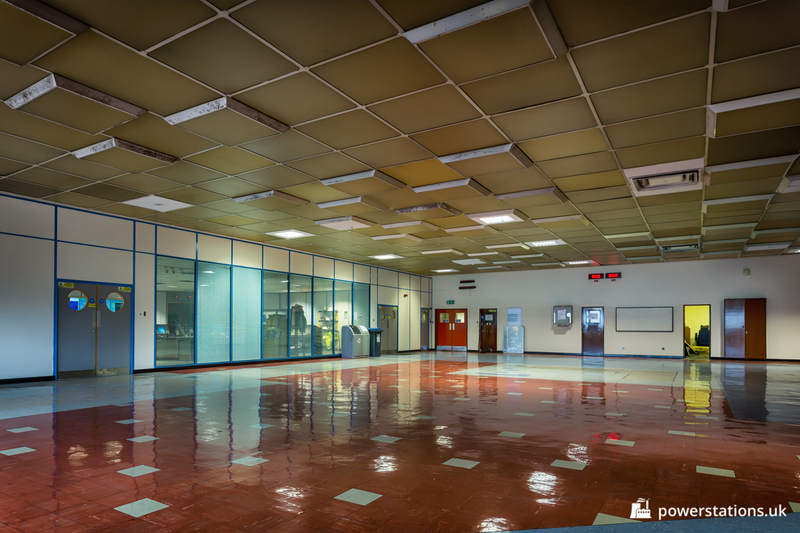 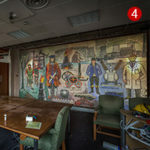 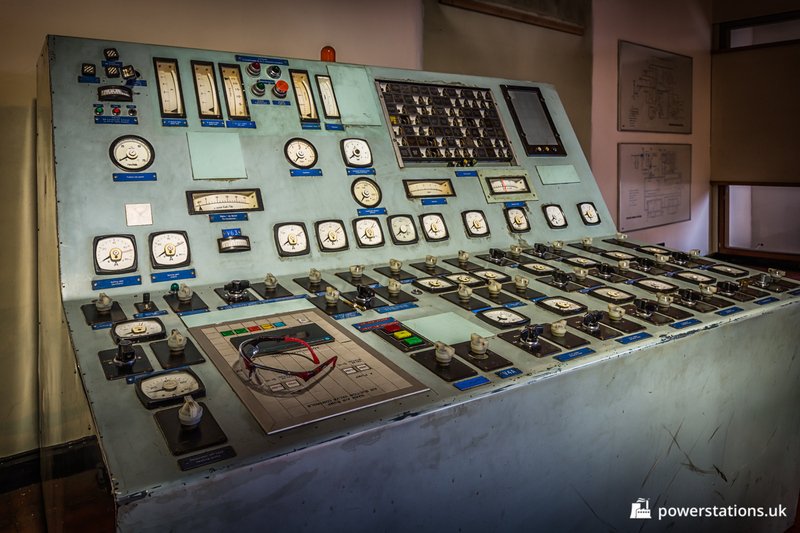 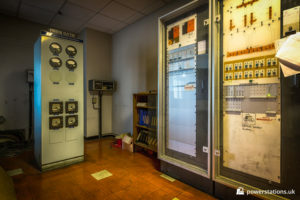 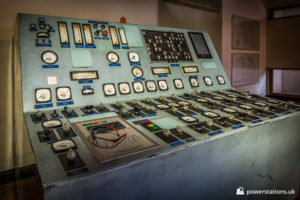 One of the original control panels remains in the open space which was freed up when the new control room was fitted.